Just move in ! Set in a small hamlet and surrounded by friendly neighbours, the house has two . . . This pretty house is in an elevated position in a hamlet with views of the Gironde Estuary, . . .
NEGOCIABLE. Nicely renovated, the house would prove a good investment as a lock-up and leave: . 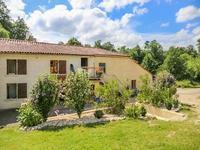 . .
A spacious stone property on high ground near the village of Saint Thomas de Conac, which has . . .
Large detached 10 bed country house with a pool and landscaped garden in a quiet position close to the market town of Mirambeau! This magnificent property situated on the quietest of quiet lanes, has been renovated to the . . . Handsome Charentaise stone farmhouse with traditional features, partially renovated with 5 . . .
House to renovate with extensive outbuildings in peaceful hamlet two km away from a village with shops. Views over the Gironde Estuary. House with full-width basement dating from the 1970’s requiring complete modernisation, with . . .
A thriving bar/restaurant in the heart of a charming village on the Gironde Estuary. 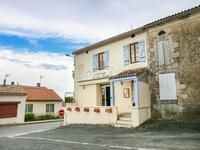 Located in a village on the picturesque “Route Verte” which stretches from Royan along the . . .
No work needed! 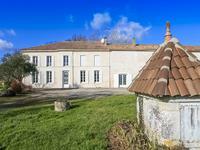 Spacious, well-presented character home in a small hamlet near the Gironde Estuary. Charming stone house renovated with taste, ideal family home or lock-up-and-leave secure . . .
Charming traditional village house with no work needed. Ideal lock up and leave property. Fully renovated village house with a substantial outbuilding which has potential for . . .
An Ideal “lock up and leave” property or a family home in need of refreshment and some . . .